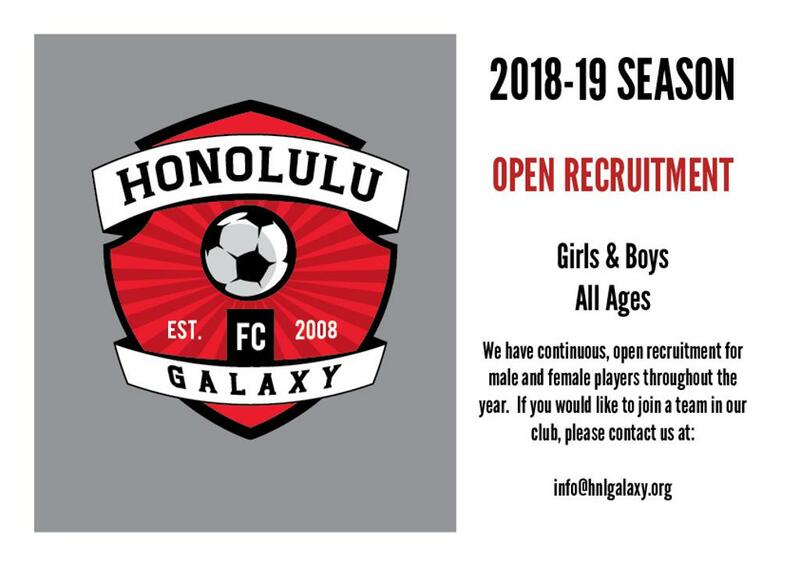 The Honolulu Galaxy Futbol Club is a tax-exempt, nonprofit soccer organization dedicated to positively influencing the lives of young athletes. We are committed to doing this by providing quality instruction and training and enabling players to compete at a high level; promoting teamwork; leadership and sportsmanship; and developing social entrepreneurship through commitment to community service. On June 3, 2018, our 01/02G engaged in a community service event at Sandy Beach. About 30 players and family members from our 01/02G ohana spent the morning gathering trash at one of Oahu's most famous beaches. Galaxy Players and Families Travel to Italy for Amazing Training Tour! Honolulu Galaxy - Darfur Partnership Makes News! Galaxy Partners with A.C. Chievo Verona for Exclusive Honolulu ID Camp!